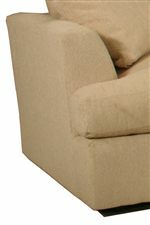 The 0977 Large Contemporary Rectangular Storage Ottoman by McCreary Modern at AHFA in the area. Product availability may vary. Contact us for the most current availability on this product.